In the year of 1988 four young & enthusiastic daughters of FCC Mananthavady province with missionary Zeal and enthusiasm set out their journey to Rajasthan aiming the spreading of the kingdom of God in North India. Mananthawady Vice Province headed by Rev. Sr. Villanova and her Team started anewmissionstationin Suratgarh named Alphonsa Convent Suratgarh in the Diocese of Ajmer in collaboration with the CST Fathers.Rev.Sr.Anslin, Sr.MercyGeorge,SrPrasannaandSr.Rose Sebastian were the pioneers of our Mission. Maria Rani Region, Rajasthan was born on 5th March 2006 accomplishing the sweet dreams of its Mother Province-St.Mary's Province Mananthavady.It is Very Rev. 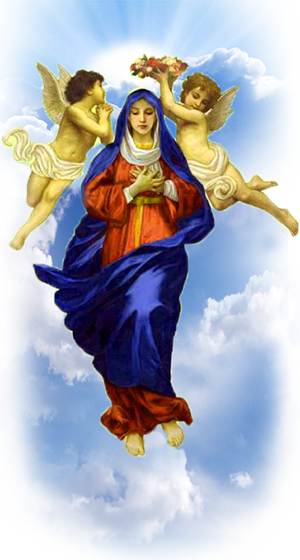 Mother Ceelia the Superior General who declared it officially and named it Maria Rani Region which celebrates its Region's Day on 22nd August-feast of Queenship of Mary. Rev.Sr. Ansline was the first Regional Superior. Today the fragrance of FCC and its daughter St. Alphonsa is spread all over Rajasthan through the daughters of Maria Rani. God is so gracious that our Region has got 49 active members all together in 14 communities . We are teaching in the schools of CST Fathers and under Diocese. We also have started our own school in Jodhpur, named St. Antony's Convent School which has got classes up to 7th standard. In Rajasthan, we are spread over three Dioceses-Ajmer, Jaipur and Udaipur and in Germany under Koln Diocese. Today our main apostolic fields are teaching, social work, non-formal education and healing ministry. Our sisters filled with spirit and enthusiasms rooted in prayer fulfill their responsibilities for the glory of God.